What Does SEO Stand For and How Does It Work? If you’re in the business world, you’ve probably heard of SEO. Business blogs have countless articles telling business owners and marketers how important SEO is and that they need to start doing SEO for their company. But sometimes, these articles forget to explain what SEO stands for, what it is, and how it works. So let’s start from the beginning. Optimizing your site for search engines is essential to gain organic traffic online. Search engines use algorithms to decide which position pages are ranked. SEO marketers know how the algorithms work, so they know which elements of a page to change in order to help Google understand the page and see that it is worth ranking. The page elements that are part of Google’s algorithm are can be split into two categories: on-page elements and off-page elements. So what does all this mean? 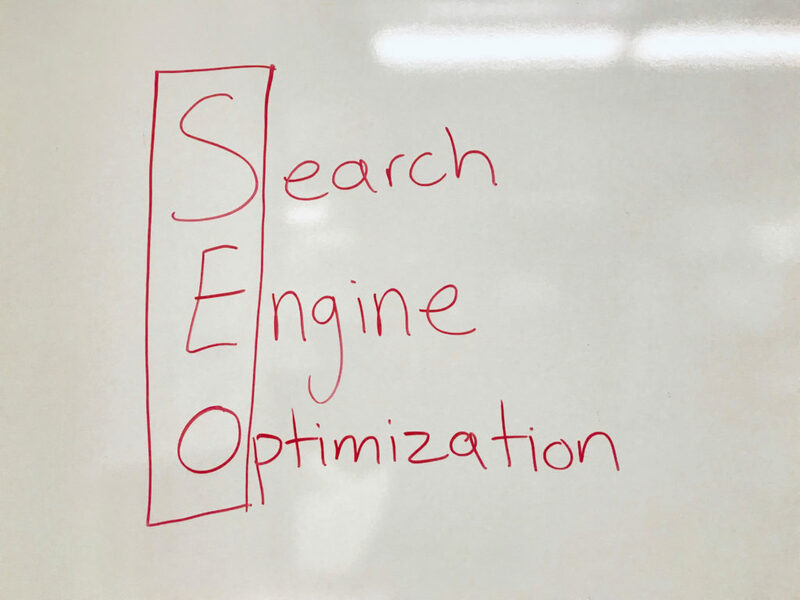 Basically, these are the main ways that search engine optimizers can change your website or webpage in order for it to rank higher, thus increasing traffic to your website or page. The most common strategies in SEO are content marketing and link building. Link building, as long as it is done correctly, signals to Google that your site has gained authority. From the algorithm’s perspective, the more high authority sites that link to your site, the more authority you then have. The easiest way to begin to understand inbound link authority is to think of inbound links as votes. So the more inbound links your site has, the more votes it has, and the higher it will rank. Now, if you’re a businessperson, you’re probably wondering..
How Can SEO Affect the Bottom Line? SEO can substantially increase your company’s revenue if it’s done correctly. When users are searching for something on Google, they rarely ever click on the results that are lower on the page, and they almost never click to the second page of the search results. The click-through-rate, meaning the percentage of people who visit the search engine results page and click on your site, drops an incredible amount from one position to the next. Research shows that position number 1 gets, on average, 30% CTR (click-through-rate). Position number 2 gets only 15% CTR, and position 5 gets only 5% CTR. It gets even worse from there, with position number 10 getting close to 0% CTR. These numbers show that your site is basically worthless unless your ranking in the top 10 results. And if you’re at the bottom of the top 10, only about 5% or less of searchers will click on your site. Whether the goal conversion on your site is e-commerce sales or gathering leads, your rankings on Google’s SERPs (search engine results pages) can have a huge effect on your bottom line.